Dr. Jones graduated from Baylor University of Medicine in May, 1988 and completed his residency in 1991 at the University of Arizona. Dr. Jones then began practicing in Truckee, California in 1991, and in 1993 he moved to the Rogue Valley where he worked in a group practice. 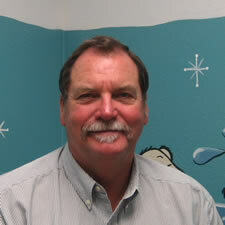 With a strong desire to have his own practice, Dr. Jones opened Kids Clinic in September of 2004. Kids Clinic has recently celebrated 15 years in business. In this time Dr. Jones has helped countless children and families from being everyone’s favorite pediatrician to his passionate support of Sparrow Clubs, Ethan Jostad foundation, and other charitable organizations. The care and compassion he shows his patients is second to none. Dr. Jones spends much of his spare time outdoors enjoying local music and wine, playing with his two rescue dogs, and spending time with his son. You can often find him tending to his garden or off on a travel adventure. Karla graduated from Clovis Adult School Clovis California in 1987 with her LVN license. She then graduated from Fresno City College Fresno California in 1990 with her ASN as an Registered Nurse. Karla worked in Labor and Delivery for her entire RN career in California in Selma/Dinuba/Hanford, and became the supervisor for the department. 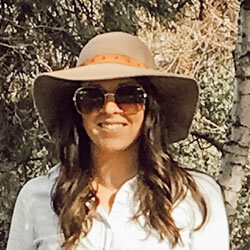 Karla moved to Montana in 2002 working as the supervising RN in the labor and delivery unit in Polson Montana while completing her BS/MS/ND in Natural Health. In 2007 Karla graduated from Frontier Nursing University in Hyden Kentucky with her MSN and Family Nurse Practitioner degree. 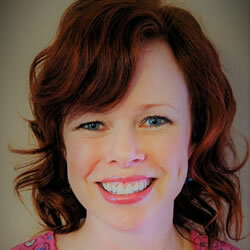 She moved to Astoria Oregon and worked as a Family Nurse Practitioner specializing in Women’s Health and Pediatrics. In 2014 Karla graduated from Frontier Nursing University with her DNP degree. She relocated to Eagle Point Oregon in 2010 and then relocated again in 2018 to Williams Oregon. She is excited to work with Children and adolescents. Karla also has taught nursing in a wide variety of roles, currently working for OHSU in Ashland teaching and guiding FNP students. I enjoy interacting with children and their families and watching the growth and healing that occurs. Children are very unique and challenging but such a joy to work with. Karla, her husband Jim and Chase their golden retriever love to go camping, spend time exploring and hiking, love nature and history, and love hockey supporting our local team the Spartans. Karla really loves spending time near the ocean. Karla loves to quilt, camp, do crafts with her two granddaughters and read. She owns an online quilt store and participates as a vendor at local quilt shows. She also loves spending time with her daughter and her daughters family, with special time spent with granddaughter Chevelle. Brenda helped to open Kids Clinic in 2004 as a CNA. While working part time, she also attended nursing school at Rogue Community College. In 2007, she graduated with her LPN nursing license. 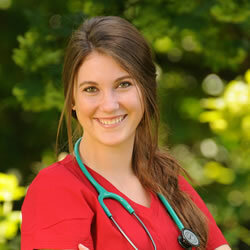 She has completed the lactation consultant program and is continuing her education to become an RN. She is one of Kids Clinic’s five nurses and is one of the nurses you often reach after hours. Brenda was born in Colorado, but spent her school-age years in San Jose, CA. She moved to the Rogue Valley in 1997 after some time in Southern California. Brenda has three grown children who live locally, and a Great Dane named Boone. Favorite activities are traveling, photography, crafts and decorating, out-door activities and exploring all the different local wineries and music. Donna opened Kids Clinic with Dr. Jones in 2004 she works part-time as our primary front desk receptionist. She has worked in pediatrics for over 40 years and has worked in other pediatric offices with Dr. Jones as his primary receptionist. Donna truly does it all when it comes to office responsibilities. She knows nearly each and every patient and has a great way of connection with our families. Donna was born in California, but has spent the majority of her life here in Southern Oregon. She loves to travel and spend time outdoors. She also enjoys spending time with her husband of 40 years, her two children and five grandchildren. In her spare time she enjoys baking, gardening, and bunco nights with her friends. We also greatly love her baking! 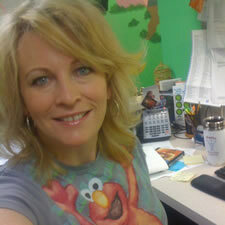 Lisa joined the Kids Clinic back in 2010 as a receptionist, but has since been promoted to Assistant Office Manager. 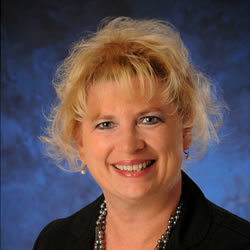 Lisa handles several aspects of the business and is always happy to help our patients and their families. 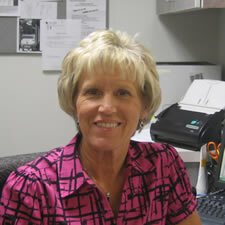 Lisa helps to oversee our billing coordinator and is very passionate about making Kids Clinic the best place it can be. Lisa is also our bi-lingual staff member and is happy to speak to our Spanish speaking families. Lisa was born in Peru but has lived in the Rogue Valley most of her life. She has been married twenty-five years and has three children. Her family also has two dogs and two cats. She has a passion for great food and cooking, gardening, being outdoors and spending time with friends and family. 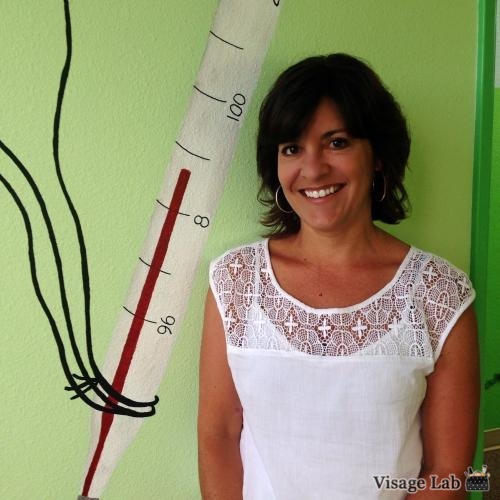 Sarah joined the Kids Clinic in 2014 as the Office Manager. 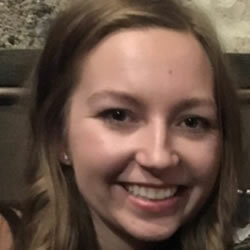 Sarah comes from a retail management background, and has her Bachelor of Science in Business Administration with a focus on small business and marketing. She graduated from Southern Oregon University with honors. The best part of working at Kids Clinic for Sarah is being behind the scenes to help and support our care team so they can do what they do best. Sarah was born in Colorado, but has lived in the Rogue Valley most of her life. She married her high school sweetheart in 2007, and they have three children together. When not at the clinic you can find Sarah on the sidelines of any number of her kids activities or DIY-ing some kind of home project. Sarah has a passion for fitness and over all well-being. This paired with the drive and love for running a small business makes Kids Clinic her perfect match. Tiffany Wyatt is a Registered Nurse and Certified Breastfeeding Specialist. She joined the Kids Clinic in 2016 as our lactation lead, but also fills other nursing roles at the clinic. Tiffany has often shared that she feels honored to work alongside a pediatrician and staff who are so supportive of breastfeeding, and who prioritize having lactation care available to all newborn and breastfeeding families. She is passionate about supporting moms, babies, and families. Although she works part time, Tiffany reaches out to all newborn families to establish contact and offer assistance if needed for breastfeeding. She is available for lactation consultations as well as telephone and email support. Tiffany says “Every breastfeeding family is very unique, and has individual needs. My goal is provide the information, guidance, and support needed for each mother/family to reach her own goals and feel empowered and positive about breastfeeding her baby”. 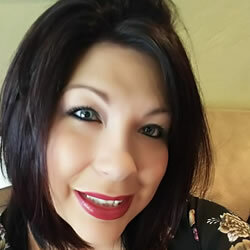 Tiffany participates in numerous breastfeeding advocacy volunteer activities, and is a member of the Southern Oregon Lactation Association. Tiffany also enjoys family and friends, traveling, hiking, volunteering to help pollinators and Monarch butterflies, and baking with her sons. Anna joined Kids Clinic as a nurse in the summer of 2017. She is an LPN and soon pursuing her RN degree. Anna has always had an interest in learning how things operate and function, especially the human body. She also very much enjoys helping others in need, so it only makes sense for her to pursue nursing, especially pediatrics as she has 12 nieces and nephews and loves spending time with them. Anna amongst the other nurses rooms patients, take triage calls, and handles referrals as well. Anna grew up in the Rogue Valley, is married to the love of her life, and just had her first child this last November. Anna loves hanging out with her family and friends playing games, camping, hiking, and watching movies. Her favorite food is dessert, loves the color green, and enjoys exploring the world. Shayla began her career in the medical field starting as a CNA2 at Asante Rogue Regional Medical Center training in every unit of the hospital, pediatrics being her favorite unit to work. After graduating Nursing school as an LPN, she worked as a Critical Care nurse at Asante. In 2018 she began working for Kids Clinic. Shayla is enrolled in a lactation specialist program. She loves the relationship she is able to develop with patients and parents. Shayla is married and expecting a little girl in the spring. She loves travelling the PNW, and takes part in many events in the Rogue Valley. Hi there! My name is Brandie Rose. I’m engaged to the love of my life & have two amazing sons named Boston and Blake. I have always wanted to be that one person that can brighten someone’s day. One word, one gesture, one kind act is all it takes to truly be seen. I have loved working in the medical field. I have been trusted to take care of people from all walks of life, and there is nothing like helping someone who can’t help themselves. My passion for helping others has developed into a career that I love as a Pediatric Nurse. At this time, I’m working on becoming a lactation specialist and continuing my education to become a RN. Outside of work I love any and everything outdoors. When not working I love spending time with my loved ones, hiking, backpacking and rafting.